So many organisations, from charities to community groups, would be unable to make the difference they do without this incredible support. 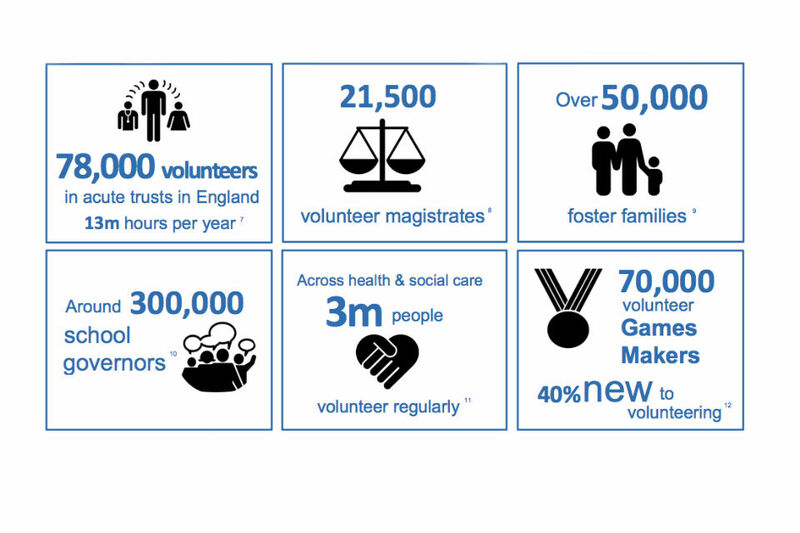 From the 3 million people who volunteer regularly across health and social care, to the 70,000 volunteer Games Makers who brought so much fun, energy and commitment to the Olympic and Paralympic Games, volunteers are going the extra mile in communities across the country. This week is Volunteers' Week (1-7 June), a fantastic opportunity to say thank you to volunteers and celebrate the work they do - and that includes thousands of civil servants. You are already among the most committed volunteers, giving generously of your time to countless good causes. For many of you, it is a natural extension of your dedication to public service. "Three days a year special leave for volunteering – guaranteed"
As an employer, the Civil Service is leading the way in supporting this commitment, and the majority of departments already offer paid special leave to do this. By the end of June all departments will offer a minimum of three days a year special paid leave for volunteering. Volunteering is one of the best ways you can gain experience and build your skills while helping others in your community. Furthermore, it’s proven that people who volunteer also have significantly higher levels of life satisfaction than those who don’t. So I’d encourage everyone to think how they can share their skills through volunteering. It’s easy to get started, too – you can search more than a million volunteering opportunities or find your local volunteer centre at www.do-it.org.uk. Don’t forget to make sure your personal development plans include any volunteering work you would like to do or have done. This is part of the Government’s broader ambition to encourage and enable social action, from volunteering to community action and giving money. We know that harnessing the skill and commitment of citizens can help improve outcomes for people in need, build more capable and connected communities and complement our public services. That’s why, through the Centre for Social Action, we are supporting 215 projects to explore the role of social action in tackling long-standing public service challenges, from helping young people to reach their potential, to supporting older people to age well. And we recruited and trained over 6,200 Community Organisers and volunteers in deprived areas. By listening to their communities, they identify local leaders, projects and opportunities, and empower the local community to improve their local area. This country is one of the most generous in the world, and I’m delighted that Volunteers’ Week gives us such a great moment to celebrate this. How can you support Volunteers’ Week? looking at the number of activities and ideas in NCVO’s digital pack on how you can get involved. Use the Comments section below to share your experiences of volunteering and use #ivolunteer on Twitter. I'm joining the Fast Stream in September and every time I read this blog I get even more excited. I cannot wait to get started! I run a local cub pack and it is amazing to have an impact in these young peoples lives. Busy preparing for Summer Camp. They teach me as much as I teach them. It is hard work and fulfills my childhood goal of being a teacher. Never got there but this might be better. Volunteering is inspiring and provides and opportunity to give something back. A huge thank you to all our young scouters. I have a ten year long service award from Girlguiding UK. I had to give it up due to work pressures. That's a shame you couldn't continue. I also felt the same and had to give mine up. I'm a volunteer with Girlguiding UK, an organisation which does valuable work in communities throughout the UK and internationally. The extra days of leave are really welcome and will enable me to offer even more opportunities to the members in my area. I have been a Guide Leader for over 20 Years and love the activities that we participate in. It sure is not just one night a week as we go to Annual Camp and also have a Christmas sleepover. As a Guider I have gained many transferable skills: I have held the post of District Commissioner; I have run 2 large camps for over 200 Brownies and Guides with Rainbows visiting for the day and I am currently a County Advisor. I have never stopped learning and have other skills that I want to take up. The people I work with are very supportive and have also been able to help me on occassions. I would say that Guiding has enabled me to enhance my knowledge and I have met and worked alongside a number of interesting people. I am a Volunteer although a number of parents have asked what we are paid, LOL. I volunteered for the Olympics back in 2012, and thoroughly enjoyed it, and is something I was proud to be a part of. I have just recently volunteered to be a marshal at the Surrey 100 Bike race, as it passes through Weybridge. It’s a great opportunity to be part of what’s going on in your local community and across the country. I also help volunteer at my local church youth group. It’s is amazing the impact you can have on youth just by being part of the event you volunteer at. Would recommend volunteering to everyone! "Three days a year special leave for volunteering – guaranteed." Not so in HMRC - lots of criteria to be met - including a clear business benefit. Perhaps Sir Jeremy has asked Lin Homer to alter the rules and make the three days unconditional. I am also in HMRC and have been volunteering for many years in a local primary school assisting with reading programmes and organising a running group. When I heard about the time off for voluntary work I assumed that HMRC would be relaxing its rules. I checked with the communities group via their mailbox and was told very clearly that this would not be the case. I was referred to a blog on 4 June by the chief people officer explaining why HMRC would not be relaxing its rules. This is disappointing news but I will continue to volunteer. I would recommend volunteering and have found it a very rewarding experience. HMRC allows three days in any 12 month rolling period to support community volunteering and since 2005 our people have given more than 45,000 days supporting a huge range of activity under HMRC's volunteering programme. The link to business benefits is a consideration, but personal development and community benefit are equally important. HMRC Intranet is very clear. There must be a business benefit. Hi Roberta - unfortunately, that is definitely not the case. The criteria/business benefits takes precedence. Come on Roberta, as Head of HR you should be able to put this point beyond doubt! I work in HMRC and have been a charity volunteer with Breast Cancer Care for the last 11 years. Whilst most of my volunteer activities are outside of my normal working hours I do occasionally receive requests for assistance during the working week. Prior to the changes brought in in 2005 I was granted special leave (within reason and at my manager's discretion) on several occasions, regardless of the benfit to HMRC. Most volunteers do so because they are passionate about their cause, not so they can get a few extra days off work. However it would be nice for all voluntary work/volunteers to be recognised/treated equally and not just those deemed to be of benefit to HMRC. I too used to get paid leave to volunnteer, but that was stopped for the same reasons mentioned, has to have a Business connection. I still do but use my own leave, with an organisation that I've been involved with since before I joined the Civil Service. I volunteer and run my local church sunday school and am in charge of the after school clubs we run for underprivileged kids from the local estate. Its hard work but vastly rewarding. As part of this, a lot of the local clubs go to a camp each summer which is a 5 day residential camp. I've been helping out since i was 18 at the camp and am now one of the main leaders, coordinating a lot of the activities and running the evening meetings. Despite all this, i was refused the special leave as it didnt meet the criteria. I dont mind using my own leave- i always have even before joining the civil service, however i find it insulting that we read articles saying that HMRC will value its volunteers but happily dismiss volunteers they dont deem 'worthy'. Hi - I totally agee with this. I volunteer for the Salvation Army (Xmas dinners for the elderly, working in the community/helping out in deprived areas) and in the past, have applied for special leave only to be told that it does not fit with HMRC criteria. It would be great if these conditions were dropped and we were on a par with other colleagues. I think that the three days volunteering is a brilliant idea in principle. However, having taken volunteering days myself, I know how difficult it can be to get them agreed. Sometimes, the cause you would like to volunteer for doesnt tick the HMRC boxes. It seems HMRC's definition of volunteering, or at least someones interpritation of it is "what can HMRC get out of it". When they say this, they mean what will the department gain by letting us volunteer? Volunteering by definition means to freely offer to do something. Therefore HMRC should not be expecting anything back from this other than an enhancement of their reputation, and the gratitude from staff for being allowed to do some work for the good of their community. When volunteer days are being scrutinised and turned down because somebody does not see what skills your volunteering will develop in you, it no longer becomes a volunteer day, but instead a 'Skills Development' day, which would be something completely different. As people have said already here. The business gains are formost in managers minds when they look at any request. I volunteer with the NHS tutoring people on living with long term conditions and because it has nothing to do with tax and I am no longer learning from it I can not get the special leave. This means I have needed to turn down some courses or to use my leave. Should some recognised organisations like cubs, guides and NHS (I do not mean this to be and exclusive list but it appears to be amongst the most popular already mentioned) automatically qualify? I am also a volunteer with Girlguiding and run our local Rainbows Unit. I am also actively involved in the PTA at my daughters' school. Being a part time worker in the Civil Service also means I've got the time to volunteer in school every day after work. It's really rewarding helping children with reading, spellings tests or any other classroom activities where the teacher just requires another pair of hands. Would recommend it to anyone! I am a volunteer Mentor for the Princes Trust and I absolutely love it. After a young person has completed a life changing programme they can be assigned a mentor to help them through the next steps, whether this be finding employment, obtaining qualifications, debt management and much more. My latest mentee was overwhelmed by the fact he had someone there who could help 'show him the light at the end of tunnel' when he thought there was no hope. The feeling I get because I know I am helping change someone’s life for the better is indescribable. I busk at Weekends as part of the Sunshine Ukelele Band to raise money for my local community. So far we have raised enough money to buy small musical instruments for the local schools, buy plants and seeds for the local community garden and are currently raising funds for a free local festival for the community. It is great fun! Years ago, in ODPM/DCLG, I used to get 6 days for volunteering - very useful as I would undertake assistant warden volunteering posts with the Wildlife Trusts (e.g. Skomer). This was cut to two days in 2010/2011, so even the additional day doesn't seem to be giving back what I once had. Still, better than nothing and I use flexi-time to give me time off for environmental charity work aswell. I was a volunteer at London Olympics, I also volunteer/pioneer at Saracens RugbyClub. I will be a team leader in Spectators Services for Rugby 2015 based at the Olympic Park. I have been offered a place in RIO 2016. I mentor young offenders at Feltham Young Offenders Institute. I do work full time. I could go on and on with all the other volunteering but I have got work to do. I am a Magistrate and have been sitting on the bench for 6 years now. I have been fully supported by the Rural Payments Agency and previously by the Child Support Agency. It really adds a different dimension to my working life and I am hoping to train to become a Chair of the bench as part of my personal development over the coming 2 years. It's great to be able to give something to the community that is valued. I volunteer as a charity trustee and a school governor. I get so much out of both of these things that I think make me a more rounded person and better at my job. I really appreciate the special leave and am glad to see this blog. I volunteer with Samaritans as a listening volunteer. In addition I run the monthly Recruitment and Selection days, which keeps my HR skills up to date. These three days will enable me to join the Outreach team and take the message of what we do out to local businesses, schools and community groups. I am also a listening volunteer for Samaritans and I undertake other duties for my local branch including administration and training new volunteers. This is predomominantly done in my own time although I have been fortunate enough to be granted the odd day off under the auspices of the DWP Community 10000 programme. Like Stephanie, 3 days special leave would enable me to get involved in outreach activities in the local community, something my local branch is keen to expand. I'm also a Samaritan listener and part of the training team. Again all done in my own time (mostly weekends to fit in around work. Will use the three days to support the outreach team in our branch. I am the Royal British Legion Poppy Appeal Organiser for my local Branch and, although the Poppy is only 'sold' in November, we fund raise all year round 🙂 I'm not Ex-service myself but believe our Serving/Ex-service family should be taken care of. It can be stressful at times but meeting someone that the Poppy Appeal has helped makes the stress worthwhile!! It is an emotional roller coaster at times, meeting an 'old soldier' and listening to their stories to meeting the family of a soldier that has made the ultimate sacrifice. I volunteer as a befriender, visiting an older person in their home each week. I was paired with a fantastic lady and we quickly realised that, despite our almost 60 year age gap, we have a lot in common. We both look forward to the visits, her because I can often be the only person she's seen all week who is there to speak to her (rather than provide care and be too busy watching the clock to have a genuine conversation), and me because it's been lovely to get to know someone who's lead a totally different life to mine (but a very full and fascinating one! ), and where I know my time is being really valued. My team have been flexible in allowing me to leave early for these visits (though they're not formally part of the 3 day allowance my Department already has for staff, at line manager discretion), so I welcome the news that this is now a guarantee for all staff to get involved in volunteering. If you're reading this and considering volunteering, do think about befriending the elderly - it's amazing the difference you can make to someone's life, just by having a chat and a cup of tea! I have been a member of the Friends of my local Community Hospital for the last 27 years and have been the Chairman for the last 16 raising thousands of pounds for the local community and Hospital. During the last 6 years we have provided support for the staff and equipment to the value in excess of £2M, including provision of an X-Ray and Ultra Sound facility. The positive comments you recieve from the public makes vollunteering all worthwhile. I assist at a number of Charities including Chairperson of the Assisted Therapy Section for Children at the Donkey Sanctuary in Templepatrick just outside Belfast, Tiny Life Breakfast fundraisers in Carrickfergus as well as Voluntary work for the Charity for Civil servants and the Carers Group in Belfast HMPO. I too will be a member of "The Pack" for Rugby World Cup - although I wil be in a backroom role - accreditation where I will be putting into use the mix of skills gained in a lifetime of Rugby and over 30 years in the Civil Service. I run a local Scout Troop as Scout Leader and also Group scout Leader and it is amazing to have an impact in these young peoples lives. Busy preparing for Summer Camp. They teach me as much as I teach them. It is hard work and fulfills my goal of giving something back too my local community.whilst serving as asoldier in the Royal engineers many volunteers supported my family whilst serving overseas.. Volunteering is inspiring and provides and opportunity to give something back. A huge thank you to all our young scouters. I am a Non-Stipendiary Minister if the Church of England. The Civil service has been very supportive in allowing me to flex my working week around services on a Wednesday morning. This allows me to provide pastoral support to the elderly, the distressed and people going through different crises in their lives. This volunteering allowance will allow me to conduct 3 funerals, which are often in the week, without taking the time as Annual Leave. I really appreciate this support for volunteering. So we WON'T be given "Three days a year special leave for volunteering – guaranteed" then, John (Hudson)? I was just thinking what a gr8 idea. I have been a Brownie Guider for over 21 years and still love every minute. I would like to give a big shout out for all those other volunteers out there doing fantastic work in their local communities. I have had major issues trying to secure volunteering leave this year, from being told the charity I want to volunteer for doesn't fall within the guidelines as well as being told that I must exhaust all my annual and flexi leave before applying for volunteering leave. Most frustrating! Also from looking at the previous guidance has the number of days allowed been decreased? It was 5 days per year allowed for HMCTS staff. Olivia, thanks for getting in touch. Yes, MOJ does allow up to 5 days per year special leave for volunteering. It is not being decreased to the minimum 3 days. There are many different types of volunteering, and MOJ does not support volunteering - which we define as “public services voluntary work” - with certain organisations where there could be a potential conflict of interest with duties. I cannot say if this was why your request was not approved. However, I suggest you speak with your line manager again to see if this is the case. If, after doing this, you feel the policy has not been applied properly, you may wish to contact your HMCTS HR Business Partner, who will be happy to help. Thank you for responding. I did contact HR at the time and was told that the policy is in black and white and should be easily understandable by all. (it can be interpreted in any number of ways) In my case I believe that my line manager & her managers were ill informed. None of them had ever heard of this type of leave before, hence why my first application was rejected with the reason my charity was not on the list of suggested charities and therefore didn't count. When I persisted I was then told that in order to apply for this I would have to exhaust all my annual and flexi leave before I could apply for volunteering leave. I have even requested that training or further guidance be supplied to all line managers but I was told it was not appropriate. Do you really believe everyone is suddenly going to be allowed 3 days off to volunteer? As John mentioned above in HMRC you have to jump through hoops and it has to be for the benefit of the business - completely defeats the object of volunteering. I hope this will really change but personally I will continue to volunteer in my own time and for the charities I suppport not HMRC. I am Guide Leader for a local Guide company in Wirral, a present we have 26 girls ranging in age from 10-14. It is essential that we encourage our youngsters to get involved with groups like this to set them up with skills and abilities for their adulthood. I am also a member of the Association of Wrens which not only helps with ex Wrens, current serving female members of HM Royal Navy but are always there to assist other Veterans of HM forces whether or not they served in conflicts or not. It is essential that we ensure that the service that these Veterans is not forgotten. I volunteer with Girl Guiding UK. I am a District Commission for my local area, an Assistant Leader with Guides and a Unit Helper with Rainbows. It's great to see the Civil Service encouraging and recognising the valuable work of volunteers. We are short of volunteers in our area so thank you for the support. It is very welcome. As somebody who has been involved in Scouting since I was 6 years old, it is fantastic to see how many are involved in Scouts and Guides within the Civil Service. I completely agree that the impact you make has far reaching benefits to the community in general. In a separate question, I have volunteered at my local Dogs Trust centre for the pasts 11 years, in the new changes being implemeted, will this qualify for special leave within HMRC's special leave requirements? 'Paid Volunteering'...contradiction in terms? I volunteer as a soccer academy coach at weekends at my own expense and time. Rather see the cost of 'paid volunteering' aka 'special leave' invested to create VCSE sector jobs, improve community facilities, rid our society of foodbanks etc. etc. Although, might change my mind if 'special leave' was backdated! After being a Brownie and Guide myself I've been volunteering for Girlguiding UK since the age of 16 (some 20 plus years ago!). I currently run a Guide unit and It's a huge part of my life. These extra days will come in handy for training or taking girls away on holidays or outings which develop life & social skills. Thank you for recognising and valuing the work that volunteers do. It’s great to see how many members of the Civil Service are involved in Girl Guiding UK. I am very proud to say that I have been a member of Girlguiding UK for 56 years, 40 of those years as an Adult Leader. I run Brownie, Guide and Senior Section units, mentor prospective new leaders and have given numerous girls the opportunity to holiday abroad as well as at home. My positions as District Commissioner and Division Commissioner have laid the foundation stones for when I became a manager. I consider that my working life and my guiding life have worked hand in hand to give me the skills and experiences that I have today. As with anything in life, what you put into it is rewarded with seeing what a difference you can make to people’s lives. 2014 was the first year I was stopped from volunteering by MOD. Previously we had @ 3 days to support STEM activity with schools, in DE&S (CAAS) this has been stoped. I used flexi leave instead as I believe that STEm (Science Engineering Technology & Mathematics) is important to schools & MOD, but I guess life as a Bespoke Trading Entity (full of Civil Servants and Military) will be different. I am a school governor at one school and Chair of governors at another, and have been a governor for over 10 years, and Chair for 3. The benefits are eneromous, you have a say in your childrens education, you get an insight into how recruitment and performance management should work, and you learn some valuable people skills. The organisation I work for (HSE) has been excellent, as we are allowed up to 6 days a year special leave with our managers approval. Over the years I have taken a mix of annual leave and special leave to attend meetings, conduct disciplinary hearings and assist in interview panels. I feel it has enriched my abilities and broadened my horizons, as well as giving me valuable skills and tools to use in my work, perhaps the rest of the Civil Service should catch up with us? I would agree with Steve that HSE are supportive of voluntry work. During my 15+ years in HSE thay have supported my involvment with mountain rescue by allowing time off for both operational and training purposes. I used to be on childrens panel and now volunteer in my local credit union. Giving back to the community is very satisfying and I would recommend it. The guaranteed special leave is great news!. I am a volunteer with a local Fire and Emergency Support Services (FESS) team for the British Red Cross. This is something I have been able to get involved in whilst continuing to work full time. The FESS service provides emotional and practical support to people, often vulnerable, in emergency situations, eg house fires, flooding, major accidents, setting up and running rest centres. The training of volunteers is fantastic but extensive, and HMCTS provided me with some paid special leave to undertake this (thank you!) and the rest I either completed at weekends or took a combination of flexi/annual leave. I have attended a number of incidents, but these have all been at weekends or evenings as my BRC leader knows I work full time. I am confident when there is a planned incident (for example setting up a place of safety for human trafficking victims) my manager would support a special leave application. If this sparks your interest, contact your local British Red Cross centre through their website or visit their facebook page - there are lots of different volunteer roles that you can get involved in that really benefit your local communities. I personally have found it very rewarding. I am a member of the Red Cross as a fundraiser. Does this mean i can use my 3 days whenever we are required to do some fundraising? I am a senior helmsperson with the Royal National Lifeboat Institution and am just about to complete 28 years service. In that time we have rescued or assisted countless people and saved many lives. It has sometimes been difficult to get special leave and have had to use annual leave in the past to attend training courses but my current employer the Charity Commission is very supportive. It has been great to be part of a team that delivers such a important emergency service. I have seen both good and difficult outcomes but the team I am involved with have always pulled together and supported each other. It has also provided me with skills such as delivering under pressure and decision making based on risk plus working closely as part of a team. Is this unconditional though? I volunteer in a local school but was told I could not apply for special leave as there is no business benefit. So can you clarify whether I would now be entitled to apply for 3 days special leave for time spent volunteering in a school? I work for HMRC. This is really helpful. I have also been a volunteer in Girlguiding for the past 22 years, running a Brownine and recently a Rainbow unit. The new experiences and opportunities that we are able to provide these young people help to given the confidence in what they can achieve. There are many activities that can be undertaken during school holiday periods which I can now utilise with these additional days. Thank you. I am a Cub Scout Leader and I am also a member of the Children's Panel for 17 years and have thoroughly enjoyed it most of the time. I believe the skills and knowledge you build as part of the Children's Panel have great read across to work situations. I have been very lucky in the main as most of my managers have been very supportive. Just to support AW and TB, HMRC policy has been very clear. And it's not what Rebecca has articulated above. This needs to be sorted out PDQ. I have been a volunteer as a school Governor and a charity Trusteee for the last 6 years. I have found these to be very rewarding roles and they have helped me to improve my skills and Increased my knowledge in different subject matters, I have also been given many hours of free training which has helped me to do my every day job better. 3 days of special leave would be welcomed as sometimes it can be difficult to maintain the level of commitment that may be required to support voluntary work and still be a "team player" at work. I look forward to hearing more about this in the near future. As a SSAFA Volunteer I have always been well supported by my management in the MoD but its good to know that there are now 3 days SPL available to be utilised if and when required. Well done to all of you fellow volunteers - Its so refreshing to hear so many positive things in a blog for a change! I have been a volunteer for the Royal Air Force Charitable Trust - Royal International Air Tattoo for 8 year and although really hard work, long days I absolutely love it. It also has had massive impact on my experience I can use to contribute to the business area of International Defence work and vice versa and using as evidence on my job applications which has contributed to my promotion over the years. I am a scout leader and have been for 23 years I also help with the district team planning events for up to 100 scouts and I am also a leader training advisor making sure that we have the right leaders with the right skills to help the children develoop. I love it all and wouldnt do it if I didnt. Jeremy, please tell us what volunteering you have done recently or will do with your 3 days? I was a volunteer for 8 years at my local Church youth group every Wednesday evening. It was very rewarding!! Unfortunately I had to give it up due work commitments for the last 2 years, but I may return this year!! I hope that this WILL be rolled out to all areas. I help to organise and run a local food bank, I'm a Town councillor (the Welsh version of a parish council), I help out in my local church and I'm a volunteer with a mental health charity. All in my own time, so far. 3 days would be a wonderful help! I've tried to interest our HR area in the training aspects of volunteering, but they've been quite dismissive in the past. I have been crew for the RNLI over the last 13years and still counting. In my service I have encountered all sorts of situations (Some good & some bad.) I was unfortunate enough to suffer an injury in service 4 years ago and recently my partner also suffered an injury to her face while on call. The court service has and still is being very supportive through these times. This is also a good opportunity to thank all those who support the work all volunteers do. I’ve been voluntarily helping run a local small charity in Hackney which provides small grants to local needy individuals and families to help with their day-to-day basic living costs. Taking whole entire days, as special leave, would probably not work for me. However talking half days or an hour here and there totalling 3 working days would work much better…. What a co-incidence, I ran my first session on digital skills for people who have never used a computer at the weekend, had no idea it was national volunteers week! I've signed up with my local RVS centre (used to be WRVS) and so far have met 3 wonderful people for whom logging on is a completely new experience. Its a saturday though - so wont count for any figures through my departmental system. I am a volunteer with the British Red Cross and i work as a FESS volunteer. (Fire Emergency Support Service) Because of past restrictions on volunteering during the working week i volunteer in the evenings and also fundraise for the Red Cross as well. As a FESS volunteer i get called out to an incident involving house fires mostly, but can also be called to attend flooding incidents or car crashes. I can also be called if there is a major emergency as well when all hands are needed on deck. I ensure that in the case of house fires for example that the needs of the beneficary are met, mostly with emotional support but i am also able to reaccomodate people (and their pets!) if they are unable to live in their homes due to fire damage. I have been called out on several incidents. I also fundraise and have done car washes, streeet collections and also work with in conjunction with Fairshare with the Red Cross to collect donations of food from a well known retailer which is then distributed to local foodbanks. The extra three days volunteer leave will enable me to attend training courses that are run during the week or to attend a major exercise. I missed out on the last one as i know my workplace up until this point were not very supportive of allowing me leave for doing British Red Cross stuff. So the three extra days will be beneficial to me as it will allow me to help those in crisis! So from me and from those who will benefit from me being available for an extra three days, a very big and huge thank you! This is a brilliant idea, though its always been available to staff, but managers are very reluctant to grant staff 3 days special leave to carry out voluntary work in the community or the process for making an application is very cumbersome. 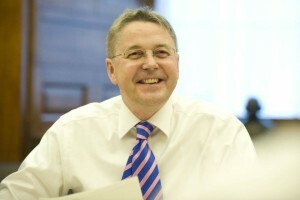 For example, I have been volunteering as an Associate Hospital Manager within the NHS and my role involves sitting on appeals filed by patients and listening to evidence from Doctors, Nurses & Care Coordinator and subsequently making a decision on whether a patient has a mental illness which requires treatment in the hospital. But I require more than 3 days a year, hence I use my annual leave or flexi leave to help the Community and I have been a volunteer since 1999. I have been a volunteer at my Local Community radio station for the last few years, working on, contributing to, broadcasting, presenting and producing (editing) radio shows for and with the local community. some of my work has included fundraising by arranging music festival and family fun days, the 3 days special leave would come in very handy. I support several charities with Coffee Mornings for MacMillan, I volunteer one day a week with Marie Curie, even thought the double shift is hard at my age , and I make cards and draw Pet Portraits for a couple of charities close to my heart. I don't know how genuine this offer of three paid days off per year but I for one would welcome it! If not, I shall still continue to do my best for charities that help people and animals. I am a trained archery coach. Every week I assist in the development of archers at the community collage in Sittingbourne. It is incredibly rewarding helping them develop. Some of the children have even been picked for the County Team. Although it sometimes hard work, I find I get so much back return. Although this is done in my own time outside work, its good to know that if needed the special leave will be available. I use my own leave and flexi time to visit local primary schools to give educational talks on birds of prey I keep owls and take these to the schools while they are having their lessons on nocturnal animals and deliver a talk and demostration for one or two lessons. Is this beneficial to the business am I allowed volunteering time no one can give me a direct answer, one manager says yes one says no and i should use my own time, i do not mind but if there was a chance to save some leave then I am very interested. At the beginning of this year I completed 25 years service as a member of Oldham Mountain Rescue Team, for many of those years I was also team secretary a role I stood down from this year to take on the role of Company Secretary. I was a volunteer at the 2002 Commonwealth Games in Manchester mainly working at the the then Manchester Velodrome, this has led me to become a Steward Team Leader at what is now the National Cycling Centre, where I'm also able to use skills learnt at work such as diversity and equality and now have an NVQ 2 in Spectator Safety, aspects of hich I can use in the workplace here in the civil service. As a volunteer with teh Scout association this is fantastic news. Every week I make sure that children of all ages have a fantastic time and a great adventure. My role as a leader and as a commissioner means I am constantly busy outside of work running evenings, organising events and ensuring that provisions are maintained for all Young People in Scouting within the County. I usually use annual leave if I am going to an event or a camp during the week but with these 3 days it means that I can save more for myself and loved ones. I have been a volunteer since 2009 and have been a Scout for 19 years! For the last 6 years I have volunteered with an organisation called Heads Together which was founded 25 years ago and uses the arts to inspire a creative vision in individuals and communities aiming to improve both potential and achievement. They run a project in Bradford aimed at improving communication about mental health and 2 radio stations, one based in the Colne and Holme Valleys and the second based in East Leeds (ELFM). ELFM allows young people to gain experience in all aspects of radio broadcasting, from presenting, writing articles, interviewing guests and live performance and their aim is to bring live music to an area of Leeds which is deemed by many to be socially deprived. Four years ago ELFM ran a ‘musicathon’, broadcasting live music for 24 hours from a derelict methodist church in East Leeds and the idea of ‘ChapELFM’ was born. We worked tirelessly to raise over £800,000 through trust and Art Council grants and secured the lease on the Chapel for 99 years. A year of renovations and refits followed and we now have the only dedicated Arts Project in East Leeds based at the Chapel. It is an amazing venue and scooped the ‘Community Benefit’ award at the RICS (Royal Institution of Chartered Surveyors) Pro Yorkshire Awards. I am now the Chair of the Board for Heads Together and, when necessary have used the Special Leave facility, to supplement Annual leave and flex time to attend events and meetings. Various managers have approved these requests and it means that I can attend day time events to promote and support this fantastic cause and for that I am extremely grateful. For the last 4 years I have adapted my working week to accomodate running a chess club at a local primary school on a Friday lunchtime. I have been astonished at the enthusiasm of the children and ongoing fascination with chess in the age of computer games, and love getting stories of children keeping it up when they move to secondary school. Other than this satisafaction, i have personally found it develops a quite different aspect of "people skills" interacting with young children teaching sometimes complex concepts. I heplp out a a local Sunday School in Bristol, with the group for 5-7 year olds. Please explain how the extra 3 days Special Leave helps me in that instance. Since May 2013, I have been a volunteer for the charity North West Blood Bikes (Lancs and Lakes). We work mostly out of hours, carrying Whole blood, platelets, samples, patient notes, Small equipment (that can be safely carried on a motorcycle), prescriptions to nursing homes, Breast milk, and just about anything else we are asked to do by the hospitals we cover. Our riders are as professional as possible, as are our controllers, and our aim is to provide a free service to the NHS in our area, thereby saving them lots of money in out of hours transport costs, usually taxi fares. Since its inception in May 2012, NWBB has done more than 13,000 runs at nil cost to the NHS. We are part of a wider national group of volunteers, National Association of Blood Bikes (NABB), who bring together all the various Blood Bike charities in the UK. In my area, a typical rider commits to a minimum of two evenings a month, and works from 19.00 hours to 02.00 hours, with All day on Saturday and Sunday as an option, and Bank Holidays too. The controllers do the same hours, from home, and route the riders onto their jobs. This is a growing charity, the hospitals are all coming on board and making use of us, as they realise the value of the service we provide, and I for one am very proud to be an active Blood Bike Rider, and proud to be giving something back. However, we always need more riders. So whoever you are, wherever you live, if you can spare a couple of nights a month, then contact your local Blood Bike charity, you will be made very welcome, and you wil be giving something back. Lots of other Guiding and Scouting volunteers here! I am a Guide and Ranger leader and have been for over 15 years. Its always a struggle fitting in camps around work but hopefully this will make it easier. In the 28 years I have been working for HMRC as it is now I have never been allowed any time of for special leave for volunteering as it is not in the business need!!! I have been a qualified Scout Leader for 30 years - I take xchildren away on a summer camp each year and have to use my annual leave to facilitate this. I am also a volunteer at a local drama group and run the box office for show week, the money raised is donated to 3 local charities 1) little havens hospice for children, 2) the breast screening unit 3) loal scout groups - my leave is taken for this week as well. My husband and I also are volunteer blod runner for the county of Essex, which means we get call outs in the middle of the night to transport blood to various hospitals, but never do we get any leave or time breaks for this. I do lots of things for the local comunity but never ever have I been allowed any time off!!!!! Am I missing something here? Civil Servants are going to get "paid special leave" to do volunteering. But if it's paid then it's not volunteering, is it? Maybe instead the government could just give to charities an amount of money equal to three days earnings of each Civil Servant. The charities might prefer that. I think this is a great idea, and have indeed made a similar suggestion to the DES transformation team in the past. However, I have no idea whether DES as a BTE will be impleneting this but I hope it does. I am a parish councilor and could do with some time to attend training sessions and those meetings which are during the working week (to be fair most are in the evening) . Like many others on this forum I am an active member of Girlguiding UK and every year I take advantage of my departments 1 day special leave to take my Guides, or other peoples Guides/Rangers, on an International camp, either in this country or abroad. It is fabulous news that we will now be getting 3 days paid special leave to do so as this will really help with my work/life balance. The skills I have as a leader have helped me in my day to day role and the fun I have as a Guide and Brownie Leader helps me deal with the stress of an ever changing Civil Service. Plus my family will be the main ones to benefit as it means i have more leave to spend with them. Thank you. Used to volunteer with the Red Cross First Aid team years go. Would love to volunteeer again but my shifts don't allow this. Can't even commit to a weekend project as work 1 Saturday in 4 and Sunday is th only day I definitely have with my husband. Hi, I am trying to register my interest to volunteer but am unable to sign in. Is anyone else having problems please? I can access the link through my work PC as it is connected to the intranet and internet. Do you have access to both? If not, do you have access to an internet connected PC to register? Adding to this, are you aware of the Charity for Civil Servants for you by you website? 1. Be able to claim time off in lieu as we have to train outside office hours, in our own time, while holding down a full time job? 2. Be able use paid special leave to catch up on lost sleep if I get called out overnight? If the answers are “no” to both of these, then the announcement is of no use to those of us in the Emergency Voluntary Services. Even if the answers are “yes”, 22 hrs 12 mins wouldn't even make a dent in the actual hours of voluntary work. I work for the MOD and I am a volunteer counsellor with North East Counselling Services (NECS) counselling ex-service personnel and their families. I travel 35 miles each way once a week, some weekends and for training days. I pay for my own travel, use my own flexi time, and take leave for training days. The 3 days SPL will enable me to attend training courses that are run during the week. Doing voluntary work has been useful in every area of my life, especially in my current job, where leaving the Service can be quite a stressful time for some personnel. I have been a volunteer for 18 years in my spare time for an organisation called Brothers of Charity Services based in Chorley Lancashire. I help to support adults with learning difficulties. I help in various ways taking them out to help intergrate them into the community. The organisation i volunteer for has also allowed me to complete an NVQ LEVEL 2 in Health and Social Care. I really enjoy my volunteering and i am lucky that the organisation i work for belong to the Time credit scheme which was started by the cabinet office. I volunteer as a Tennant Board member of a social housing company - and have done for three years. Can anyone advise if this would be appropriate to include? I currently take annual leave to attend events and meetings that are in the daytime. - but my annual leave has been cut due to a recent lateral move and the new leave policy? The organisation pays my expenses - so claim would only be for the three days. I've been volunteering with Penhaligon's Friends (a local charity which supports bereaved children in Cornwall) for about the last 3 years. It's great to feel supported by the Civil Service. Those days will enable me to attend further training to increase the areas of the charity I can work within. I work for the MOD (DE&S). I am Chair of my local Marie Curie Fundraising Group which is both fun and rewarding. I am also on a management committee for a local youth club. I use my own time and travel to support both and engage with people from all walks of life and with all types of personal challenges. My daughter (16) completed NCS last summer, volunteers with me for Marie Curie fund raising and helps out at a local Forest School in every school holiday. We both get a lot from doing what we do - in management speak - the "softer outcomes" which have added value to both our lives. If anyone is thinking about volunteering, I would recommend it every time. Sir Jeremy's blog includes some fine examples of the volunteering activity being undertaken by people across a wide range of departments. There are also some posts that refer specifically to volunteering in HMRC and about which there is a little confusion. So I'd like to clarify HMRC's position on volunteering and to explain why we have adopted - and intend to maintain - our business-focused approach. Given that paid special leave is effectively a donation of employee time by HMRC, which is funded by the taxpayer, we are very conscious of the need to ensure that we can properly justify how that time is spent. Therefore, in HMRC, we encourage our people to take three days' paid special leave for volunteering each year, with the proviso that the activity should use or develop their business-related skills and also deliver business benefits. This is entirely in step with the approach that's taken by many other large organisations which give their employees paid volunteering leave. HMRC is a large operational department and many of our people are in front-line roles, providing a service directly to our customers. We think it's reasonable and proper to use paid volunteering activity to support those customers; for example, by helping young people - our future customers - to develop employability skills and understand their future tax responsibilities, or by supporting older people to use a computer for the first time, to access government online services. We also think it's important that the volunteering activity for which we give paid special leave should help our people to develop themselves - and that's why we encourage them to include it as part of their five days' annual learning and development and, where appropriate, to use it in competency examples for job applications. By positioning volunteering in this way, our aim is - and will continue to be - to maximise the benefits for the individual, the department and our customers, which I am convinced is the correct approach. Because it is volunteer week why is this not on the intranet for DWP staff to see. As someone who devotes a lot of their own time to helping at my local hospice, I believe that the greatest pleasure to be had from volunteering is the sense that one is just making a difference to others. I do not subscribe to the apparent belief that we should shout from the windows "look at me; aren't I a good person". That the Civil Service should seek to piggy-back the efforts of our many volunteers (in whatever sphere) to derive some credit therefrom strikes me as not a little shabby. Whilst accepting we are pigging-backing on the week, the reasons for doing so are about encouraging more civil servants volunteering rather than trying to claim any reflected glory. This is a great chance for us to highlight the fact actually you <em>can</em> take time from work to volunteer and the Service will support you doing so. The fact so many civil servants already volunteer is amazing and we're really proud of everybody who takes time out to help, so thank you everybody who is commenting about the things you do. Why no links for Scotland??? I would like to thank everyone who has commented on this blog. If it needed confirmation, it is clear from the response, and the positive welcome for the guaranteed three days’ annual paid leave allowance for volunteering, that many civil servants are highly motivated to assist good causes and deserve our support. I hope that as many people as possible will take advantage of the new offer - which I should stress is a minimum allowance - either to develop their existing voluntary activities or to take up volunteering for the first time, both for the difference it can make to other people’s lives and for the benefits it can bring to their own life and work. As referenced in the blog, the policy will officially be in place very shortly. In the meantime, you should contact your line manager or HR team for specific guidance. It appears you are one of the privelleged few, In my 40 years service to both DHSS/HMRC and Scouting I have never been given special leave for any international projects, expeditions, camps etc. I thought at first reading Sir Jeremy`s blog this was about to change! Having just read William Hagues reply ( 4 June) it confirmed my suspicions that HMRC only give something back if it business specific. It wont stop all the dedicated volunteers who have commented here from continuing but once again a Government Minister giving us empty promises.Good luck to those who do get time off for your voluntary activities but please dont rub it in HMRC staff noses! Does this policy apply to Dstl? Myself and my family devote what time we can to support the incredible work of Children's Hospice South West. http://www.chsw.org.uk This is a charity that provides hospice care for children with life-limiting conditions and their whole family across the South West. I am thrilled to have this opportunity to dedicate more time to support CHSW. Does the policy apply to Agency's too or just Departments? Like many on this thread, I've been a Brownie Leader for over 20 years and get so much from it, that I bring back to the Agency I work for. Such as leadership, communication and presentation skills. I've recently become a Trustee for a small young charity Lipoedema UK. It's purpose is to raise awareness, support members and encourage medical research. Lipoedema is a painful genetic fat disorder that is widely under diagnosed or diagnosed as obesity. Being an LEC in Germany, would I be entitiled to the 3 day special leave. Being a SAR dog handler volunteer. Example:- Call out at 2am in the morining search call off at 6am due to little Timmy having a sleep over with his friends and didnt contact his family. I am a leader at the local Girls Brigade group in Lincoln, such a hard work but very rewarding. This 3 days will come in very handy when we take the girls on camp. Thank you. Maybe Jeremy Heywood & William Hague should be having a conversation, or rather should have had a conversation before this was made public. Am I alone in wondering what the total cost would be if everyone entitled to do so actually took up the 3 days? I was out of the office last week and missed Sir Jeremy's message. Having returned today i was pleased to read that civil servants were being guaranteed three days Special Leave per year for volunteering. Having read HMRC's guidance however it appears that this will only apply if there is a business benefit, unless the guidance is changing. As a serving Special Constable with Police Scotland and a Community First Responder with the Scottish Ambulance Service (both voluntary positions) it appears that trying to keep the community safe or alive does not qualify for Special Leave under the current guidelines. Surely a rethink is required? The time taken to get me from enrolment to atually taking part in an activity was about 4-5 months. This in itself can put people off volunteering, with DBS slowing up the process as well. But stick at it. I have now attended/taken part in two sessions of wheelchair basket ball and boy was it enjoyable! The youngsters who have various disabilities were shouting encouragement and made me welcome. I have never done anything like this before but will keep it up as long as my arms dont fall off first. I shall be using these three days if I am allowed, otherwise will probably use my own leave if required. I have been a National Trust volunteer for thirty-three years and have the staff card & 30 year long service medal to prove it. I've been working on tasks his past week, during my leave period, at Coleton Fishacre, south Devon - coastal path step building renewal, the Valency Valley above Boscastle, pulling out Himalayan balsam and weeding the kitchen garden at Knightshayes Court, near Tiverton, Devon, this hot Sunday past. I've been asked to volunteer as I do every two years to assist with the Abbotsbury swan round up, but can't get the leave time, indeed any extra time off in the Prison Service that is so short staffed at the moment is a pipe dream. I wonder when this marvellously supportive idea will be practical to implement in reality ? I'm sure my efforts would be appreciated by some of the organisations for which I frequently volunteer my time, should my employer be in a position to give me time off that is on offer. I was excited to read this article and its mention of 'Foster Families', however sadly it does not mean that I will benefit. It was explained to me that it would be the 'volunteers who assist foster families' that can make use of the 3 days special leave. As a foster carer myself I find its very sad and dissapointing that the civil service does not have any policy in place to support foster carers, but does recognise adpotion. I appreciate fosteringis my choice and is not permanent however, many foster carers provide long term care placements (some life long if childrens needs are such that they cannot be adopted) for some of the most vulnerable children in our society yet this is not recognised or supported by policy. My parental respononsibility to the children I care for is no different than if they were my birth children or adopted. I've been a governor at my kids' primary school for the past 6 years and have helped (along with all my other volunteer colleague governors!!) the school improve their Ofsted performance as well as recruiting a new headteacher this year. I also help out at my local rugby club (Camberley RFC if anyone fancies poppng down on a Sunday morning during the season!) where my son plays. I've become the Festival Operations Manager (the last event was a tournament for 1200 kids back in April) and on Saturday I worked with a friend to organise an end of season fund raising Summer Ball at the Royal Military Academy in Sandhurst. Loads of work but TONS of fun! Having raised £7.5k last year we blasted through our target of £10k this year and we're just totting up final figures. Volunteering not only contributes to society but it's a great way of getting to know a diverse set of people you might never come into contact with....AND.....lots of these things simply can't work without volunteers. Sir Jeremy, as a Cub Scout Leader and Scout Training Adviser of over 30 years standing it was heartening to see a manifesto commitment, positive to ‘Volunteering’ being put into practice, or so I and the many other volunteers working for HMRC thought. Can you confirm that this will be applied across the Civil Service to all Departments, or, should I be asking my Local MP, the father of two of my Cubs to ask questions in the House? This thread alone confirms what we know, that Civil Servants are naturally philanthropic and charitable people who look to do what they can for causes they care about. I'm the Civil Service champion for a social enterprise called BeyondMe which helps staff set up teams to donate money, but equally their time, skills and expertise to charitable projects they are passionate about. I was lucky enough to co-found a team working with Concern Universal on a project to alleviate poverty in Brazil and found it to be an incredible experience. I'm looking to get more civil servants involved so more can have this opportunity. If you're interested in joining and finding out more please get in touch or go to http://www.beyondme.org. A great initiative, but when I enquired about it I'm told NOMS HR are yet to come to any decision about how/if they're going to adopt this - which seems odd given the clear direction given by the Head of the Civil Service. Wouldn't it have been better to have had the discussion with department and come to an ageement before publishing this so widely? Nothing against anything that any manager has said above, but could we please just have a definitive policy across the Civil Service that sticks. This is frankly a shambles, and will probably result in an employment tribunal at some stage. HMRC people are left, not for the first time, stumbling around in the dark. It's not for me to say what the policy should be, but any arrangement that (for example) allows time off for a school governor but not for a volunteer classroom assistant in the same school is just absurd. Please sort it out. I have been a London Ambassador since 2012. However this year I have cancelled my involvement because of implicit criticism from my team that helping tourists is not regarded as the right type of volunteering. It doesn't fit with a departmental objective of imparting skills. Worse still, I enjoyed it. Disappointed but not surprised. I notice that there is not one comment from anyone working in the Prison Service/NOMS. I have asked about volunteering and have been told that there is not a Prison Service Instruction about it yet and we cannot go any further until this Instruction comes out. I am concerned that there seems to be a difference of opinions on what "guaranteed" means and whether volunteering will require a "business benefit." I would have thought the business benefit was simply what we as employees got out of the volunteering as mentioned "Volunteering is one of the best ways you can gain experience and build your skills while helping others in your community". And that any other direct business benefit doesn't quite fit with the ethos "For many of you, it is a natural extension of your dedication to public service." I am also concerned as any "business benefit" is not mentioned in Sir Jeremy's piece above in any shape or form. I will be interested to see what the application process will be for me, whether I will be alowed to apply without providing evidence of "business benefit" and which organisations I will be allowed to apply to. I am really hopeful that I will be able to apply by the end of this month, as promised. Wow! I have only just read this blog and all the responses. I have been involved with Scouting for 40-something years and although no longer a uniformed leader I keep up my involvement through the Deep Sea Scout National Active Support unit, and help with a summer camp every year. Many years ago I enquired about SPL for volunteering and was told it only applied to recognised training courses not for run-of-the-mill activities. Thus I have taken at least a week's annual leave each year to support young people. I do not begrudge a minute of it, but it since the demise of local HR teams in the MOD news of initiatives like this does not always filter down far enough and LMs find it difficult to keep abreast of all the changes relating to staff management. So to summarise, Sir Jeremy is clear that all employees are entitled to a minimum of three days volunteering leave. HMRC have added a caveat to that, that the volunteering must be of some benefit to the business. Whatever the merits of the caveat, it suggests individual departments can morph policy if they don't like it. The question is - can each individual department add it's own terms and conditions to policy? If so, it seems a waste having any policy at all. How do we go about applying for this voluntary time? The article does not give any details of how to follow this through. My son's class at school is desperate for people to help with reading, even if just for a couple of hours a month - but i don't see how i can go about registering my interest with HRMS. Any further information would be gratefully received! Went to the http://www.beyondme.org. link above on Mark Holleley— 10/06/2015 comment...found the page was blocked by me department's (DWP) filtering software! I've just been told I can't have special leave for my volunteering with Girlguiding as there is no 'business interest'. The blog post says absolutely nothing about the leave only being granted for 'business interest' volunteering. So it's a lovely idea which will, in practice, not be implemented by various departments. As an active group Scout Leader, I thought the 3 days would be wonderful too, as I actively commit most weekends to not only my group sections for camps/meetings etc, but also the District Explorer team - my family have to book an appointment to catch me! - however the '3 guaranteed days' don't apply to CPS either, I'll keep you posted as to whether I am even granted the one I've applied for- didn't know that we could apply for one so haven't bothered previously. I volunteer as a Parish Councillor and also help with our local "Messy Church Group" aimed at families with young children. I find these a great way of bringing all the skills and experience I have developed over the years to benefit my local community. I also benefit directly (especially through the Council) in working with and learning from people from different industries / walks of life. Not only does this give me a great sense of achievement and personal satisfaction, but it also helps me to be a better manager which in turn makes me a more effective at work. It's a real win win! Hi All. Some intriguing volunteering here. I work at Air Command - prior to that many different roles / locations for the last 27 years within MoD. I am a National Trust Working Holiday Leader, and have been so for the last 23 years - These working holidays are populated by people that wish to help the National Trust in many diverse and wonderful locations across the U.K. with. predominately, outddor conservation work. My roles as Team Leader are to facillitate, encourage and develop the other volunteers who attend the working holidays - which last from 2.5 days up to 10, enpower some people with skills that I have gained with the MoD and also with the work I do with the National Trust. As there are so many beautiful places to visit in the UK, I, and I can fairly safely say, all of the many hundreds of volunteers i have had the pleasure to work and live with for the duration of the holidays, would quite agree. I have been fortunate enough to be granted 5 days per year and usually stack up on my Flexi leave as well. Hi I'm currently doing a work based project based on voluntary work and I have come to understand that there are many problems for HMRC staff to get involved. I'm on ODP at HMRC and would be interested if there have been any updates for staff? As it stands it appears to me that the 3 days for the staff at HMRC isn't at all varied due to the business interest aspect. It seems quite unfair as HMRC staff are classed as using taxpayers money but other departments are not. Am I right in thinking this? I would love more information if possible.